Cleaning: Although the “sea-life” now attaches themselves to the liner/bag (as opposed to the hull of your boat), please note that excess growth (more than 2-4 inches) should be removed by a recommended diver. Monitor: Upon arriving at your dock slip, take the time to walk around your boat and inspect the pipes (substructure/framework), gate, tie straps, clamps, etc. prior to boarding your boat. If a problem arises, it is much easier, not to mention much more cost effective to repair or replace any damaged part(s) PRIOR to the issue turning into a major repair. Timer: Periodically check the batteries in your timer. At the time your Armored Hull Boat Shields™ was installed, we install new batteries. However, with time, they will eventually wear down and will require replacement. Check to ensure that the hoses going to your liner do not get "twisted" or “kinked”. Be aware of “dock growth” such as barnacles, clams, mussels, basically anything that could potentially rip/cut your Armored Hull Boat Shields™ liner. 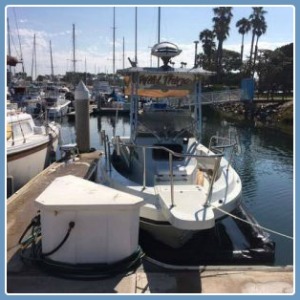 Be sure to have the surrounding dock area regularly inspected when your diver cleans your liner. Be aware of propellers, outboards, dinghy’s, "water-toys", outdrives or anything of that nature does not have a constant “rub” on your Armored Hull Boat Shield™ liner as this will cause the material to rip/cut. 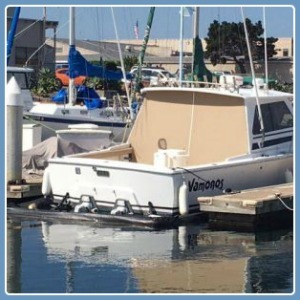 Armored Hull Boat Shields™ are not recommended for any marina, home, or body of water thereof in which an actively strong current, excessive surge or in unprotected waters (such as being secured to a buoy or mooring ball) exists. 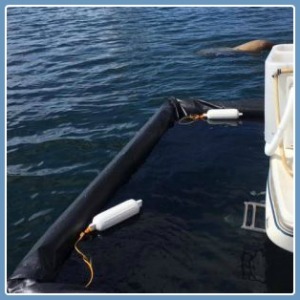 Armored Hull Boat Shields™ are solely intended to be secured to existing docks. I agree not to hold Armored Hull Marine Products™ liable for loss or damages caused by theft, fire, sinking from lack of proper maintenance, or any act of nature, including wind, rain or any other forms of weather related storms beyond Armored Hull Marine Products™ scope.